إذا كنت تبحث عن فندق بموقع جيد في كرايستشرش، فقد وجدت ضالتك في Amross Court Motor Lodge . يجذب هذا الفندق ذو 4 نجوم، والذي يبعد 1.5 km فقط عن وسط المدينة و عن المطار، الكثير من الزوار سنوياً. إن سهولة الوصول من الفندق إلى المعالم السياحية الشهيرة الكثيرة في المدينة كمثل ‪Knox Church‬, ‪Hare Krishna Temple‬, Ken's Camera هو استثنائي بحد ذاته. 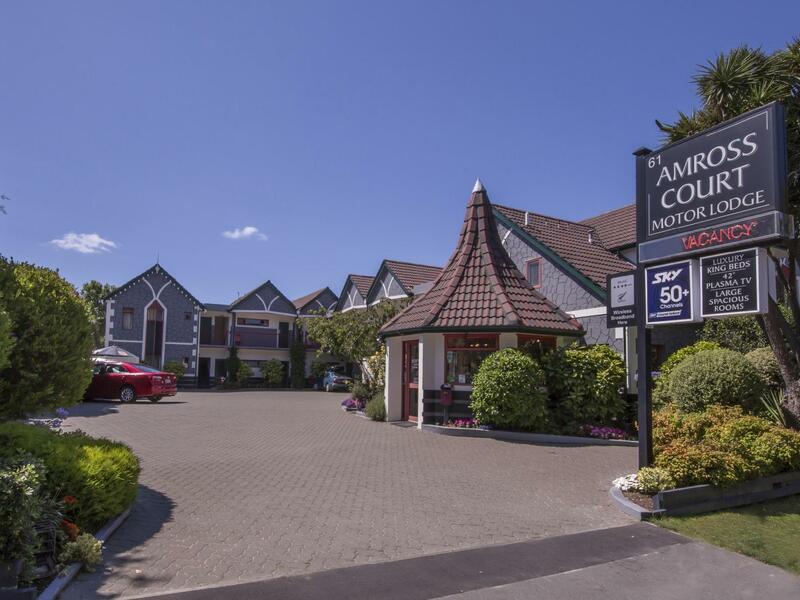 إن Amross Court Motor Lodge حريص على توفير الراحة للنزلاء، فلا يوفر الموظفون جهداً في تقديم أفضل الخدمات وضمان حسن الاستقبال. يقدم الفندق واي فاي مجاني في جميع الغرف, خدمة غسيل ذاتية, مجهز لذوي الإحتياجات الخاصة, مطبخ, مرافق مخصصة لذوي الاحتياجات الخاصة لضمان الراحة القصوى لضيوفه. في الفندق غرف نوم يتجاوز عددها 14، كلها مجهزة بعناية وجمال وبعضها مزود بـ شاي مجاني, مناشف, سجاد, قهوة فورية مجانية, غرفة معيشة منفصلة. يمكنك طلب اللائحة الكاملة للخدمات في الفندق ومن بينها مسار جولف - ضمن 3 كم, حديقة. إن Amross Court Motor Lodge هو خيارك لخدمة الفنادق الراقية في كرايستشرش. عند حجز 3 غرفة/غرف أو أكثر، قد تطبق سياسات مختلفة ورسوم إضافية أخرى. هذه هي سياسة العقار. I don't have anything bad to say about this property, everything was great and the staff really went out of their way to accommodate us with early check in. Would definitely stay here again & would highly recommend! Room a bit noisy as on front of building next to busy road. Windows were small so not alot of natural light. But good value for money and room was very spacious. Liked the enclosed toilet in the ensuite, .shower very good but no bath. Ample free parking Enjoyed the stay overall and would recommend. We walked to the Botanical Garden and downtown from here. Only reason we downgraded the location rating was because of all the one way street restrictions that made it difficult to get into the property. Provided us with everything we needed, very comfortable. The apartment was roomy, spotlessly clean and very well equipped - even down to the provision of make up remover sachets! It would benefit from a lift as we were on the first floor with heavy bags. The location was about 15-20mins walk into central Christchurch on a busy road. Unfortunately, the racer boys in their cars and motorbikes chose one of our nights to drive up and down into the early hours. Such a shame, as the lodge itself had so much to recommmend it. Lee & her husband Jin (pronounced Jean) are two of the finest hosts you will every have the pleasure of dealing with. Genuine, caring and very hospitable people. Their facility is second to none in terms of genuine cleanliness, rooms are very spacious, I believe most if not all are self contained. Amross Court Motor Lodge is very well located. 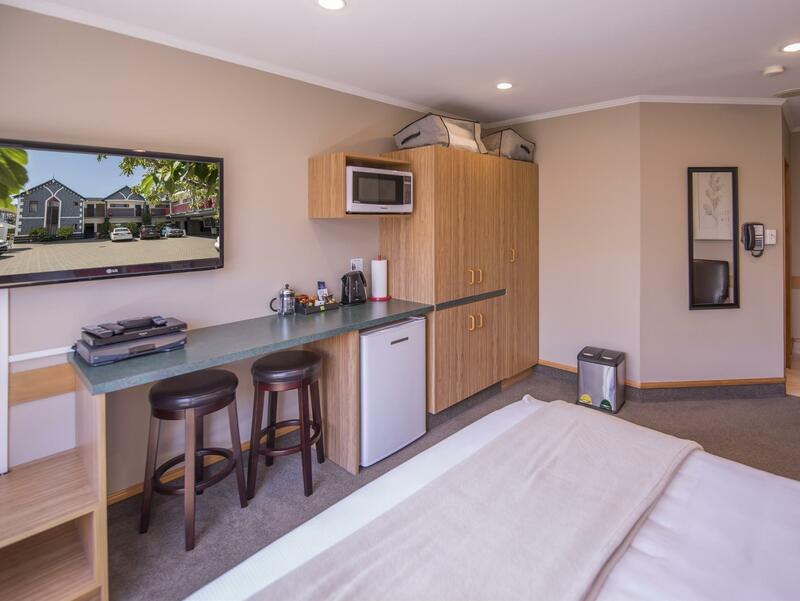 Airport, City and the beautiful botanical gardens and Hagley park are all easy access and in close proximity. My wife and I frequent many five star establishments and and a well catered self contained scenario can be a nice change. We have already been back for a second visit. Ohh and the beds are very comfortable and very reasonably priced! 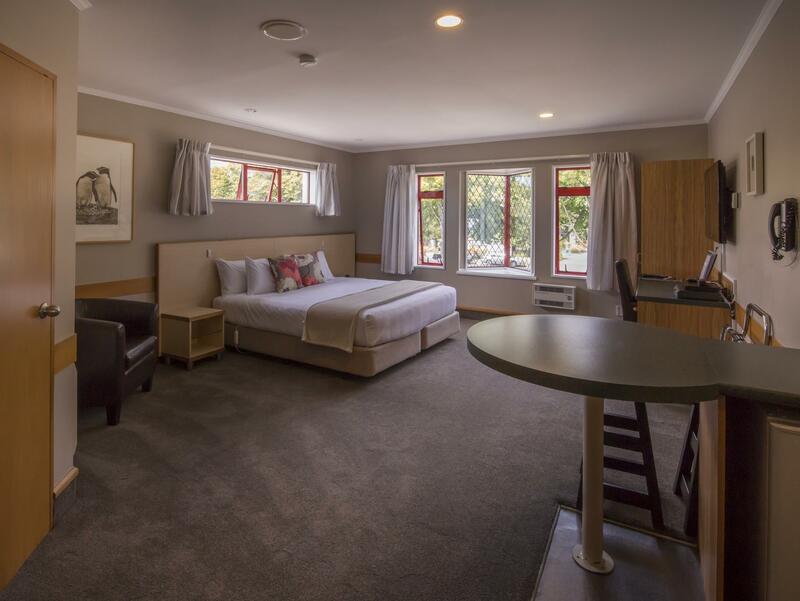 Amross is less than 10 km from the airport and very close to the Victoria Clock Tower- walking distance from Hagley Park and several restaurants. The room was spacious and clean with an additional bed in the lounge. The manager/ owner was so helpful with suggestions and tips which helped us during the rest of the travel. Highly recommended for folks landing at Christchurch as a pit stop. I booked an apartment for 4 people. The place is clean and tidy. The beds are comfortable. Both rooms are spacious and are about the same size. The living room area is good too. No problem with this place at all. Excellent service. Extremely clean, lots of little extra touches. Went above and beyond to cater to our needs. Wonderful Manager/Owner who recommended places to eat, which was a short distance and magnificent food without costing a fortune. We loved it. Hugely impressed by this excellent motel. 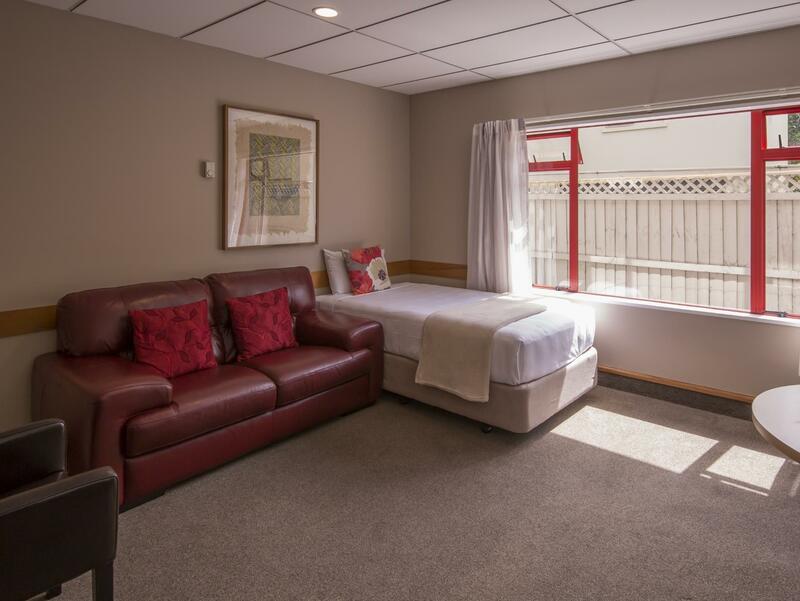 Spacious, very comfortable beds, spotlessly clean ang high quality bathroom miniatures combined with excellent staff made for a very pleasant stay. Locates at the city centre, easily access to the cathedral square. 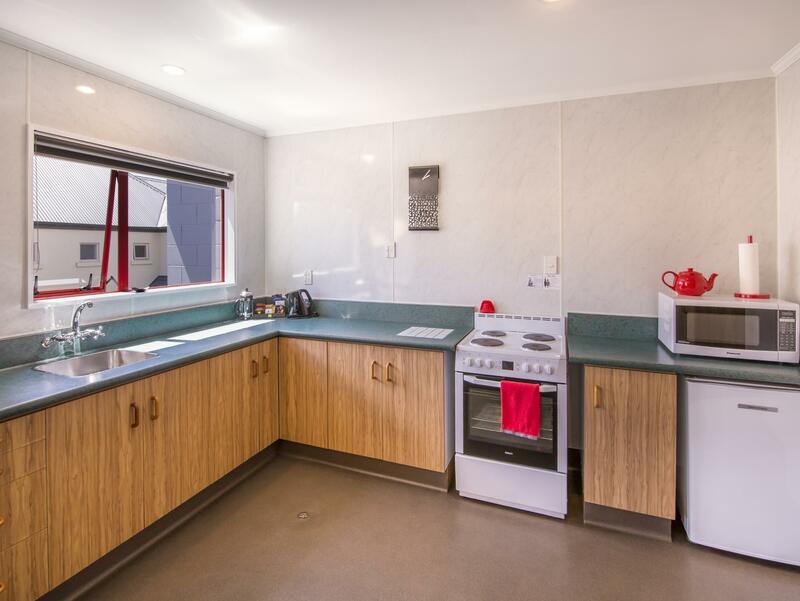 Room is spacious with small kitchen. Lee the manager is very friendly and helpful. We would definitely use this accommodation again and recommend it. The customer service and cleanliness of our studio spa was outstanding. There is plenty of help if you need it and a very comprehensive information pack. The location is excellent if you would like a walk in to town and it is near to the central tourist attractions. If you like your creature comforts there is a heat pump in the room and heated blankets. Parking is on site and secure with easy access on and off Bealy Avenue. A lovely stay thank you Lee. The owners are very accomodating. Nothing is too much trouble and they are so friendly. Pro-within walking distance to city & restaurants are nearby. Parking available. Heating awesome. Very clean rooms that are well loooked after. Cons-can be slightly noisy if guests aren’t considerate when returning home late. Will be a very good size for a family. I was there alone, so it feels a bit wasteful because compound is pretty huge. Mostly not in motel, so i would say a bit under utilized. Overall a good motor lodge and recep - Lee, was friendly and helpful.